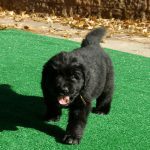 One of the ways which Together Freedom uses to raise funding for the girls we support is through the breeding and sale of Newfoundland puppies. 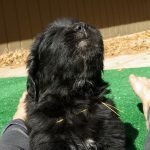 This not only provides another source of income to help pay for the needs of the girls, but it also give the girls the chance to volunteer to help care for and breed the Newfoundlands. In an effort raise funding to open a new spot for a rescued girl, we are auctioning off one of the puppies from the most recent litter! This little girl is 6 weeks old and will be ready to go to her new home on November 18. 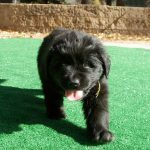 She is a pure-bread Newfoundland registered with UKC. Thank you to everyone who participated and congratulations to Bid #127 with the top bid amount of $2600!